Our primary goal is to add more life and energy to your life through a holistic approach, by treating the entire person, not just their symptoms. We will treat each patient as a unique individual with specific health needs and wants. Our commitment is to offer a program of wellness care for our patients so they may gain the preventative benefits associated with chiropractic. To accomplish this, we will strive to act as educators, healers, and health caretakers. This will allow others to experience all aspects of having a healthy spine and nervous system. Our mission is to help you reach your health goals for the rest of your lifetime. Chiropractor Dr. Katerina Captanis along with the Dr. Robyne providing chiropractic care to Long Beach, Los Angeles, Orange County and the Southern California area. Call into the office to have the insurance plan checked free of charge. In addition to accepting automotive insurance (if your visit is due to an accident), workman&apos;s compensation and health insurance plans we also offer AFFORDABLE cash options and packages to uninsured patients and families, for services not covered by insurance, or to those who simply elect not to use their insurance. 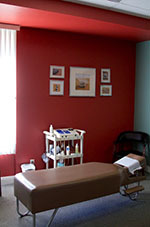 We are chiropractor Long Beach, CA & chiropractic office Long Beach, CA.